From 5 May onwards – Darwin/NT/north WA or make me a request I can’t refuse worldwide up til mid-June. 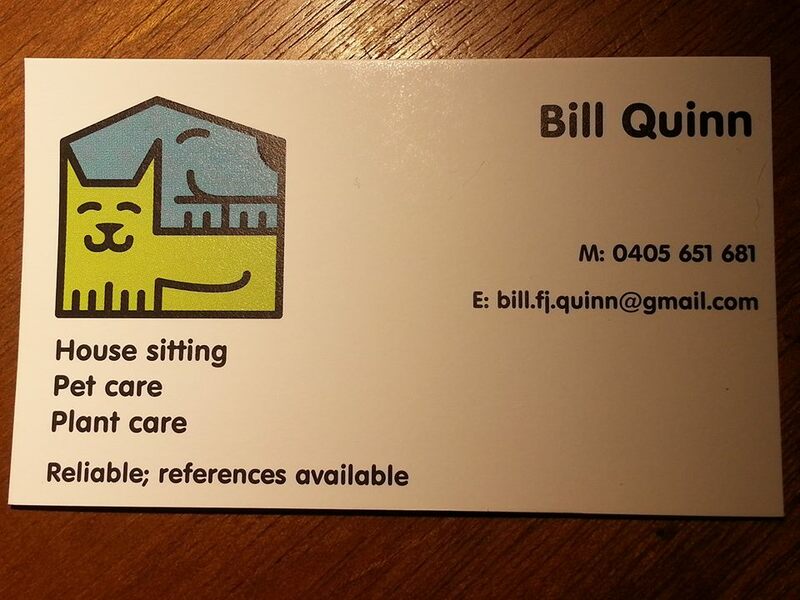 From mid-June 2019, Bill The Housesitter is on an indefinite break. But I’ll be considering international housesits on a case-by-case basis.